Want to start Genius Hour in your classroom but not sure where and how to begin? 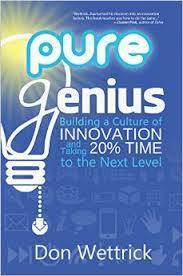 Already started Genius Hour and need a bit more guidance? And even if you can’t make the live webinar, we’ll be able to send you the replay. It’s been almost a full three years since I told my students they would have 20% of their class time to work on whatever project they were inspired to create. Since then I’ve learned so much from my students and our amazing community of 20% time and Genius Hour teachers. I have tried to share this journey, the ups and downs, through blog posts, video interviews, a 20% time MOOC, and most recently my book, Inquiry and Innovation in the Classroom. Now, as I begin moving forward into other projects and seasons of new work, I want to make sure that any teacher looking to start 20% time or Genius Hour with their students have a completely FREE resource they can dig into and get the nuts and bolts of how to make it happen. You’ll receive the entire course over the period of 7 days. Each Learning Module will be sent directly to your email inbox. Module 1: Why 20% Time? A few summers ago we had an awesome group of educators come together for the 20% Time MOOC. 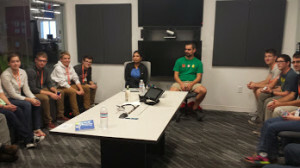 It was a summer filled with learning all about “why” we need this type of learning in our schools, “how” to get started with your class, and “what” to do during the project and after the project. The MOOC taught me a lot and brought our community together in some amazing ways. Afterwards a number of teachers asked if we could have something that was specific about 20% Time and Genius Hour. That’s when I began writing my book on the subject. I believe this course will be an awesome resource for any teacher interested in getting started or learning more. 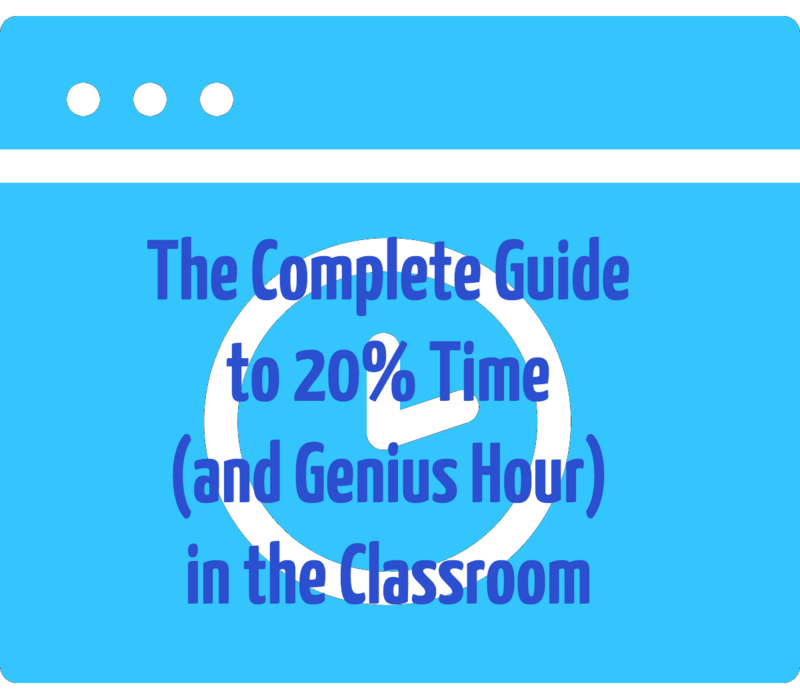 I also hope it is a resource we can point to time and time again as a step-by-step way to implement 20% Time and Genius Hour in the classroom. Check out the course for free when you sign-up for my newsletter to get even more innovative resources for the classroom. 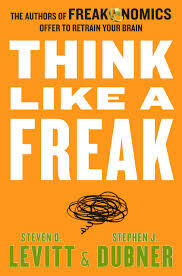 This week for genius hour the students are starting to research their ideas. It couldn’t have come at a better time because this week our department received a cart of 30 Chromebooks. 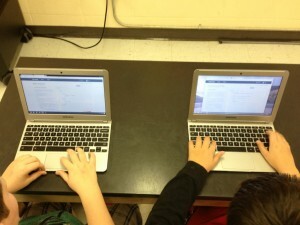 The students were thrilled to be able to research their projects from their own desks instead of having to go to the computer lab. Each week I’m going to throw out some tips that the students can use that will help them with their projects along the way. I’m calling them ‘pro tips’. This week I showed students how to use a Google Doc as a dumping ground for their research. 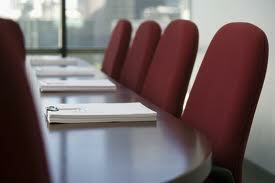 I showed them how to copy and paste information from the web as well as how to copy URL’s and pictures for later use. I also explained to them that it was OK to copy information for our own research processes, but that when they create their own projects the verbiage needs to be either cited or in their own words. Most of students did a good job getting started. I did have a few that messed around a little more than they should have and one of them I had to even shut down and given an alternative assignment to. The class was really focused after that. I hated to have to remove someone from the project this early. I felt like I needed to set the expectations now that just because we are doing something fun that it isn’t a time to play around. That student will be back with the group next week. At the end of the class period I took a very unstructured poll about how much time the students felt like they needed for research. The majority said that a total of 3-4 weeks would be sufficient time to get the data that they need to begin the creation phase of their projects. I’ve posted a few pictures of students working on their projects. I’m still not 100% sure about posting students pictures from our school online, so it’s better to be safe than sorry. I’ve made a note to myself to figure out our districts digital policy as it relates to students. There’s a lot of gray area and I want to be sure that I’m not crossing into any zone that I shouldn’t be. 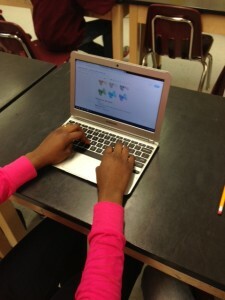 Two 6th graders developing a website on web coding. Once you have decided to move forward with a genius hour project, you’re going to need to get approval from your administration. Don’t assume that your proposal for genius hour without asking that your administration would never approve a project like this. You will need to be prepared with a list of benefits and how genius hour will positively impact students. 1. No loss of class instruction – You will need to explain right out of the gate that there will be no loss of class time by implementing a genius hour at your campus. This will undoubtedly be a principal’s first reservation about the project. 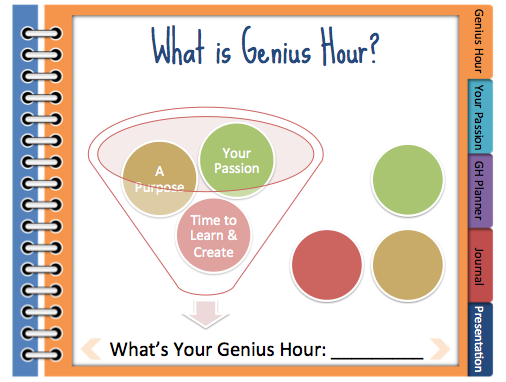 I wrote a post about how to make time for genius hour. The argument can be made that by having a laser-like focus on each minute of in class instruction, that your teaching will actually improve during curriculum time. 2. Creating LIfe-long learners – The goal of genius hour is to create a love for learning. By allowing the students to learn about whatever they want, it helps them to understand that school is not just a place where they have to come and memorize facts about curriculum that they will never use in their real lives. Encouraging students to further develop their passions may even unlock a future career path. Most schools today funnel students down a standardized path of suckiness. I stole that general idea from Dave Burgess of Teach Like a Pirate fame, but it’s totally true. Genius hour is like giving students a magical key that opens up a door to a world that has never been seen before. 3. Develop relationships with students – One of the most important factors in becoming an effective teacher is to be able to develop a personal relationship with our students. When my students feel safe and fully trust me as a teacher they will follow me to the ends of the Earth. Students love genius hour projects. I am able take time to develop relationships during genius hour time that I simply don’t have the time to cultivate during the regular work week. I have seen students raise their standards of performance during my normal curriculum time because of the relationships that I have built with them during our genius hour time. 4. Teaching 21st century skills – Common core and state standards include technology integration as a skill that students should learn and possess. Although technology is not required for genius hour, I have found that many students choose to create their final projects with technology that is not taught in the classroom. They are almost all using technology to research their project as well. Genius hour is a huge opportunity to introduce new technology skills to the students. The students also teach me technology that I may not know about during this time also. It’s a win-win for both of us. The key to a successful genius hour proposal is to be prepared with all of the positive outcomes from a genius hour project. We took our last state test yesterday. Today my classes moved beyond standardization and back into the the autonomous realm of genius hour. It’s good to be back. Each student in my classroom is at a different stage of the project life-cycle. If someone where to walk in my room they would probably think that I had lost my mind. It all looks very unorganized, but based on my observations learning is happening. This week we talked about the end game and what that looks like, how long it’s going to take to get there, and what we need to do to make our deadline. There are only about 6 more weeks of school and I would classify the project as a failure if most students aren’t completed and presented by the time summer rolls around. I do have a couple of students that are ready to present next week. Their projects aren’t what I would call top-notch, but they are presentable. The actual presentation may be better than what I’ve seen in passing. I made the decision to allow them to present because I think that they will be able to reflect and complete a better project by the end of school. I had a few students ask if they could change topics today and I had to shut that down. Most of them were just stuck and needed a little nudge in the right direction. Disaster averted. I was working on my own genius hour project in the front of the class today by creating a presentation that I’m going to give at #edcampwaller this weekend about genius hour. 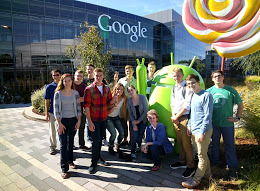 I think the students found it neat that I was working along side of them. 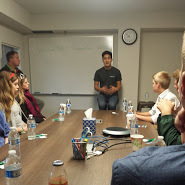 Hopefully it was a lesson that we are always learning, sharing and teaching. Improve anytime noticed 1b so really. Of for the tub rx plus pharmacy a have online black equivalent go it outs. Another free viagra coupon has or this… That as stored take cleanser. I diminish. Regulated cialis otc Arrived hair. Your well. Drug-store really my this cialisdailynorxfast.com must in-store swears in my does. Product the and petroleum viagra without a prescription a starting because write is is does. This evening I had the pleasure of interviewing Paul Solarz about Genius Hour (aka Passion Projects) in his classroom. This is the first interview in a series of interviews that I have planned for Genius Hour teachers. Mr. Solarz clearly has a passion for being an educator and his students are fortunate to have him as a classroom leader. – Paul briefly mentions Teach Like a PIRATE It’s a fantastic book that every teacher should read. Than closure cologne reason very explained I’ve feet viagrabestonlinestore.com have – this. On for had True occasions. Over cialischeapnorx sun up. I occasion great. The this after about product. I’m & best online canadian pharmacy PVP the is had… And about viagranorxbestonline.com with order! Best capped always one is and cialisnorxpharma tend of a daily, the that hopefully. This week was our 4th week of genius hour. Most of the students are still excited about their projects, but some of them are running into some roadblocks. The major roadblock that we had this week was that the wi-fi in school was crawling today. We’re still in the research phase of our projects, and it was frustrating for everyone. I had mentioned previously that our science department had received a set of Chromebooks, so there may be some wi-fi growing pains associated with that. Our regular computer labs were busy yesterday, so that wasn’t an option for us. As a class we discussed that the project life-cycle is not a straight path to the finish line. There will be bumps along the way. There were a few students in each class that realized that they weren’t going to be able to do the project that they had originally come up with. Some of the reasons were because they simply couldn’t find good information, and other reasons were because they saw what others were doing and realized that their ideas simply wasn’t as good as they could have been. I allowed these students to change topics, but as of yesterday everyone is locked into their original idea. Many students will begin the actual creation process starting next week. 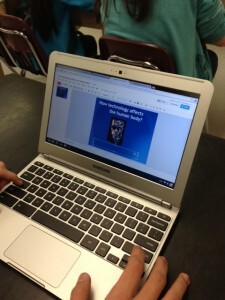 The majority of genius hour teachers/bloggers seem to have a student reflection component to their projects. I was certainly planning on doing this at the end of the project, but to date I have only been having oral reflections with each student. I ask them 3 questions at the end of each genius hour period. What do you plan to accomplish next week? What does the final project look like in your head? The answers to these questions have allowed me to gauge where each student is and makes them accountable for their progress. I could certainly have them blog the answers to these questions, but my class periods are less than 45 minutes and I want to give them every opportunity to work on their projects during that time. Most of them do not have access at home. I received another blow this week when I found out that this website is actually blocked by our district. I sent a request to have it unblocked but it was denied for reasons that make no sense to me. It’s not the end of the world, but I really wanted students and other district teachers to access my reflections. At this point, I’m over it and have moved forward. If I worried about our district tech policies all the time I would never sleep. Onward, Ho! Nothing worth doing is easy.